The event of the year for most residents in Martin and adjacent counties. The Stuart Airshow is a three-day annual event. It will run from November 1st through the 3rd in 2019. What can one expect at the Stuart Air Show? There are many planes in the sky and on the ground at all times. You can get up close to your favorite plane or even go inside some of the larger ones. The Air show boasts a variety of planes on an impressive timeline scale. You can see old and new planes alike. Food and beverage vendors are abundant offering a wide variety of different foods guaranteed to please any taste buds. You can also enjoy Florida’s local craft beers made right here in Martin & St Lucie County. The event show cases modern, military and classic aircraft. If aviation is an interest of yours expect to spend a full day to fully appreciate everything and to view the entire show. Just when you spotted a very interesting plane on the ground and go to inspect it for a close up, something wild is going on in the sky. It is a wild and adventitious experience for young and old alike. One of our favorite aspects of the Stuart air show is that local businesses can participate and sponsor the event. It is a great way to meet local businesses in the area. 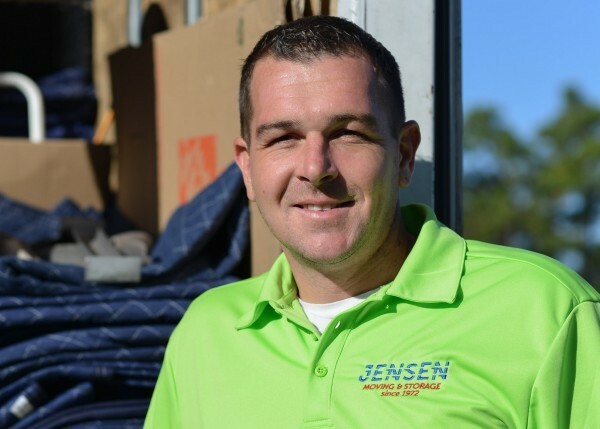 Jensen Moving & Storage (as a local moving company) is a proud sponsor of the Stuart Air show and we look forward to sponsoring the event this year. In 2018 we had the great opportunity to loan one of our 26ft moving trucks to the air show It was utilized by being placed on the runway, so pilots could use it as a reference/land mark for their stunts and maneuvers. We look forward to offering additional services in 2019.